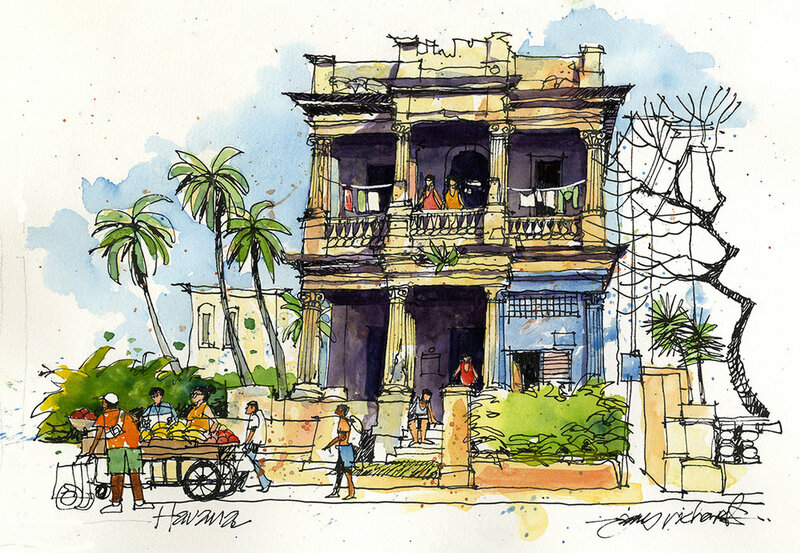 Our Sketch Tour to Cuba is coming up fast. April 15th to April 25th in fact. I’m very keen for those of you already booked to be encouraged and inspired before you come, and have an enormous amount to look forward to. The marvellous James Richards has sent me some of his images and links for you to study and learn a little from. Like us he uses pure colour, plenty of whites and plenty of darks. 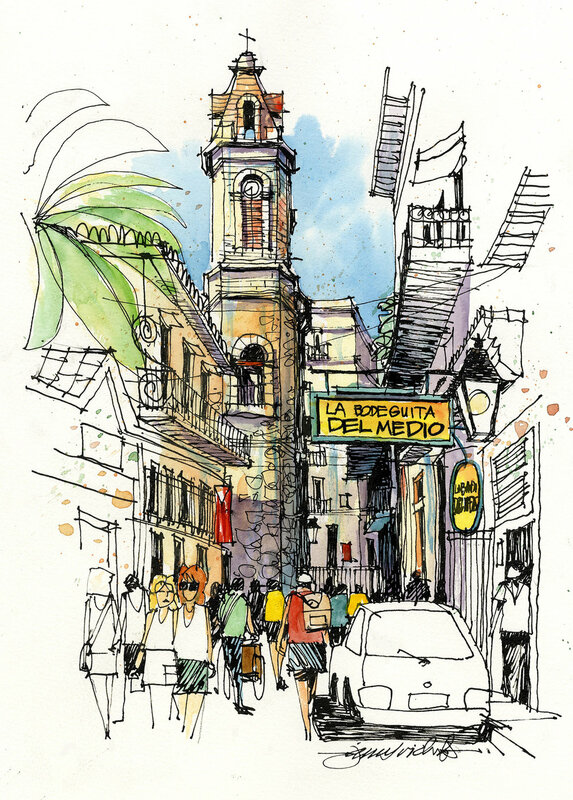 Take a look at the link below and immerse yourself in his journeys and thoughts about Cuba. 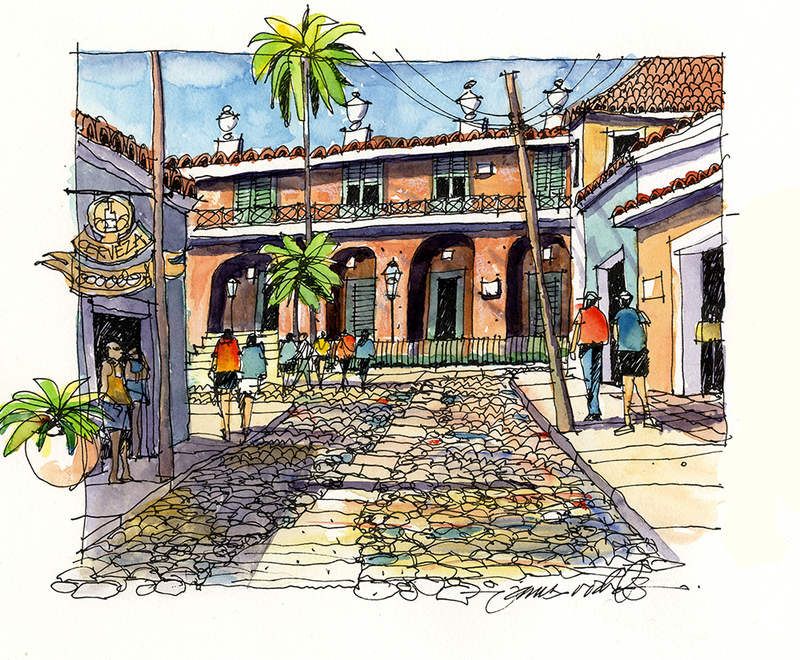 Life Sketching Workshop. First time.